Convinced? Great. So you might also agree that making the most of every email is a must. That’s where a handy-dandy checklist comes in. We’re email geeks. We have not-so-heated debates about preheaders and maximizing for mobile and optimizing rendering. We work through these pesky issues so that our clients don’t have to. 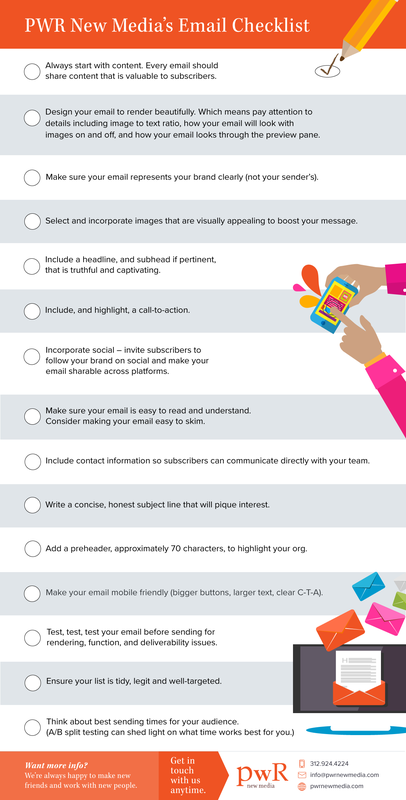 Here’s a helpful checklist that keeps our team focused on email best practices. Download, share or forward as you like. We hope it’s helpful!